I'm all about full food disclosure here. I take my (self-imposed) food rules very seriously. So, when the occasion arises that I step outside those rules (for self-allowed special occasions), I'm going to tell you about it. At the grocery store last week, I bought 2 (yes, two) boxes of generic cereal (the first cereal this house has seen in a year, at least) and a jar of artichoke hearts. From California. We don't live in California, by the way. The cereal was a gift for Jamey who was taking his finals last week. It's his last semester (out of six) of pharmacy school. After a week off after finals, he begins a year of rotations. Unpaid rotations (I won't get into that now). I thought he could use a little pick-me-up, a little special something to help him study and to celebrate the end of his year. Yep. We go all out here when it comes to celebrations. Generic cereal. Hot diggity dog. 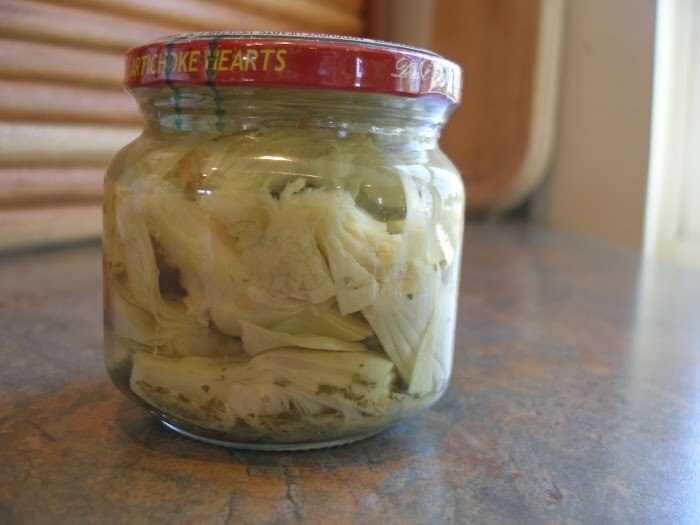 I bought the artichoke hearts so I could make my most favoritest dip EVER to take to a get-together last weekend. I used to make this dip all the time back in the day when I didn't impose food rules upon myself and my family. It's been a very long time since I've made this and thought I would take this opportunity to tell you about it. It could be quite awhile until I make it again. Whimper, whimper. 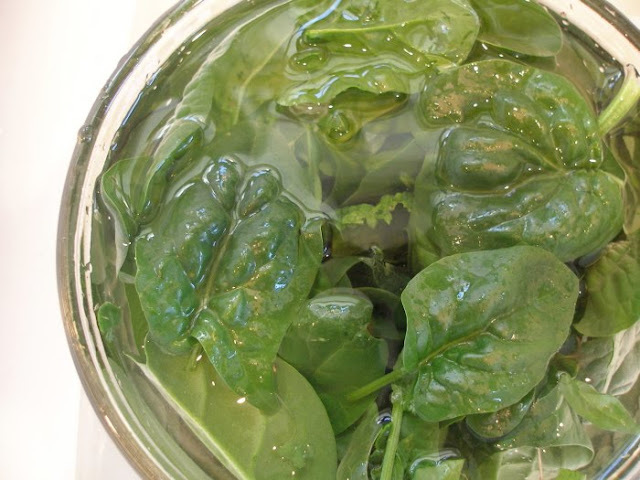 If you are using fresh spinach, saute it in 1 tbsp. oil over medium high heat until bright green and half wilted (do not let it get dark brown and mushy). 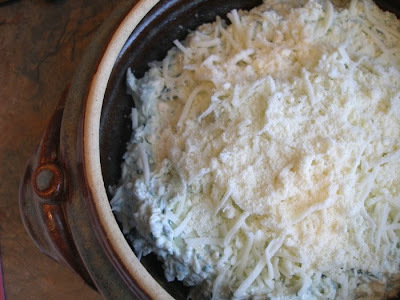 Place cheeses (reserving 1/2 cup mozzarella and 2 tbsp. parmesan), garlic, sour cream, and pepper in the bowl of your electric mixer. Beat until well combined. Stir in the spinach and artichoke hearts. Transfer to a greased 1 1/2 or 2 quart baking dish. Sprinkle with reserved mozzarella and parmesan cheeses. 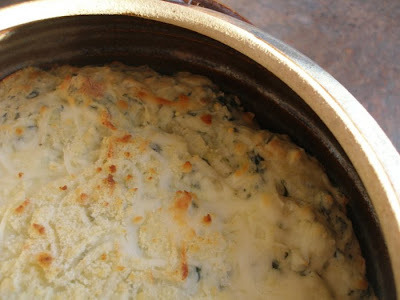 Bake at 350 degrees for 30 minutes or until bubbly and light golden brown on top. Serve immediately with baked tortilla chips, pita bread triangles, or fresh veggies. Sounds yummy! Do you think this could also be made in a small crock pot? That sounds awesome...can't wait to try it! I sure hope you had a coupon for that cereal! Way to go Bionic Man! I think my family would like this better than PW's recipe. I'll have to give it a go. go Jamey! also, yummmy dip! mmmmm. those were worth the ... off the list item. Enjoy! My goodness, can't wait to try this! Thank you for the recipe and I can't wait to try it!